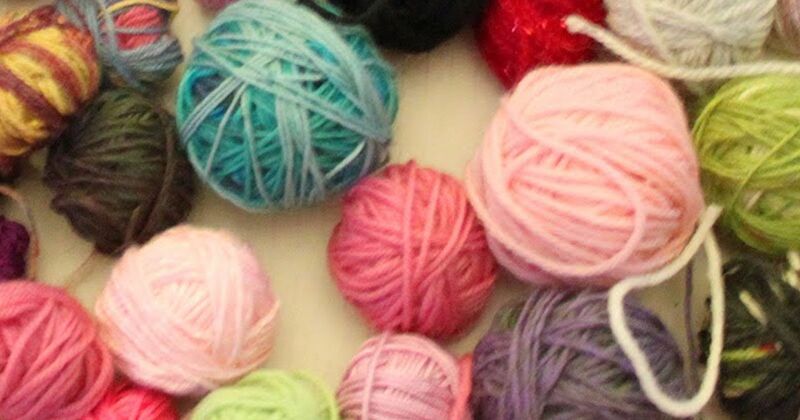 Is your home filling up with half-used balls of yarn? Don't despair if your cupboard doors aren't closing. Plenty ideas are out there for stash-busting projects -- and we've curated the best for you. 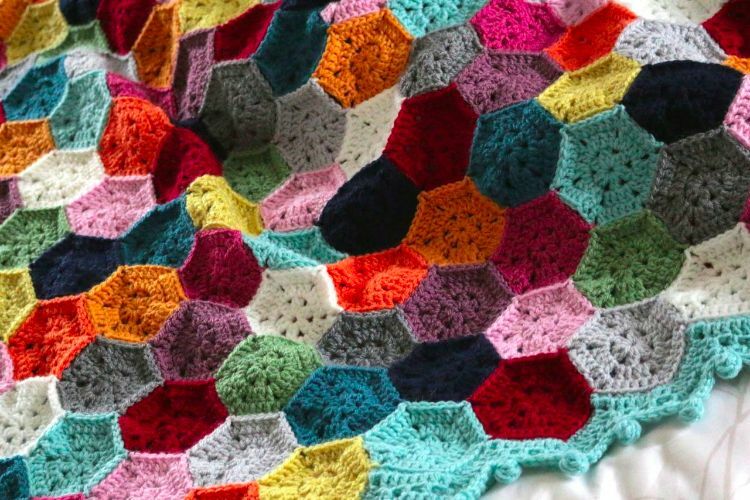 Whether you'd like to make an afghan, whether pillows are you passion, or whether something smaller will suffice to use up your odds and ends, the following patterns will get your hook working and your yarn stash back under control. This gorgeous throw is a great stashbuster. The individual hexagons are nice and compact, so great for those bits of yarn that are too big to throw away but too small to use up easily. They are also one color each -- fewer ends to bother with. Don't forget that although these instructions use yarn from only one range, you can actually choose any yarn you have at hand from any of your previous projects, as long as it's all similar weights. 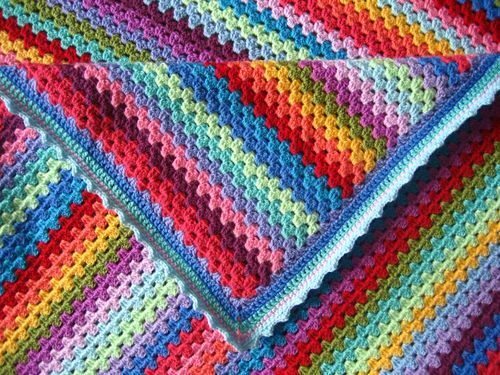 Granny really did know best when it comes to crochet -- the traditional granny stripe is absolutely perfect for using up a multitude of half balls of yarn. This lovely example is snuggly, colorful, and truly covetable. If your yarn supplies won't stretch to a big throw, this is an ideal stitch for pillow covers and cushions. 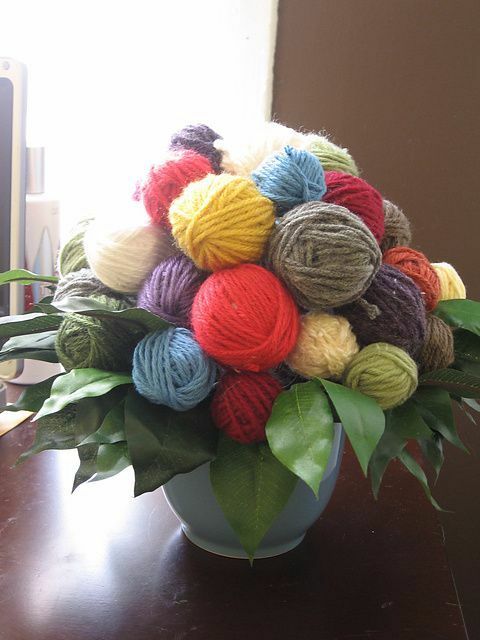 Make the yarn itself a decorative piece! 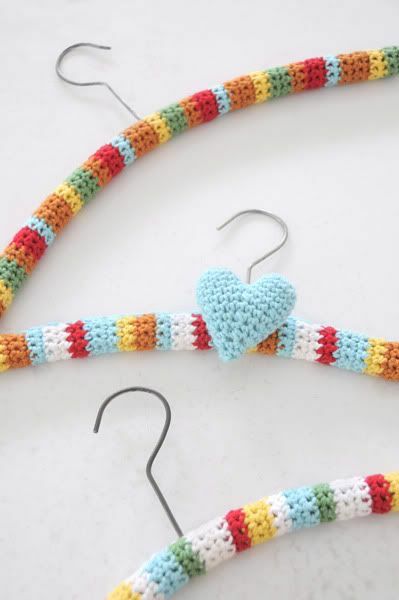 Everyone needs hangers -- and with just a little crochet work and imagination, you can use plenty of your oddments to adorn them and turn them from utilitarian to unique. Hangers make practical gifts, and you can theme them to suit your friends or the occasion -- shades of white for a bride, pinks for a little girl, and so on. 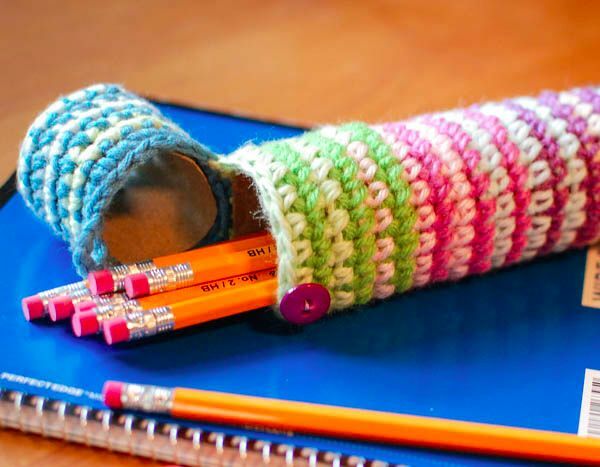 Keep your favorite pens at hand or whip this little project up for the kids -- it's a perfect back-to-school item that will be really appreciated, and it makes a nice dent in your stash. If you have a bunch of oddments of fancy lurex or fluffy yarn and no idea what to do with them, then you'll adore this idea. Why not crochet up some fun faux rings? They only take minutes to do and yet look really pretty on. If you're wearing one of your own cardigans or shawls, it could be a lovely touch to make a matching or contrasting ring. Or why not create some for friends? If you're unsure about rings, go bigger and make a bracelet. Sometimes the best way to finish off yarn from a big project is to start another project -- only something not quite so big. 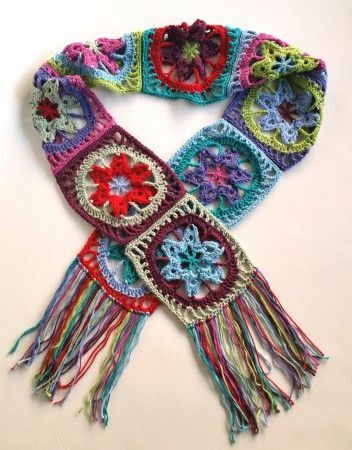 How about this beautifully colorful scarf? As you can see, it's multicolored, so it uses up remnants from all kinds of blankets and throws. It's also absolutely gorgeous. You can do something similar with any style of granny or other square, just sewing or crocheting them together at the end. Making a nice big fringe also uses up plenty of yarn in the easiest way possible. The stitch is made up, usually, of a main color and accent colors that compliment each other.